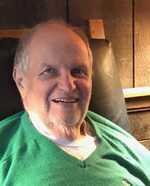 This obituary is protected by copyright by Roberts Mitchell Caruso Funeral Home - Medfield. Proudly Serving the Communities of Medfield, Norfolk, and Dover & Sherborn. Roberts Mitchell Caruso Funeral Home - Medfield is located in the state of Massachusetts, United States.